We were all pretty shocked to wake up to snow today after having such mild weather. But there it was, snowing so I made sure to put plenty of birdseed out for the birds. Since I work from home alot, I put new feeders on the patio so that I can watch the birds from the office. The original feeders are still stocked out near the garage too. The birds were going crazy. Imagine my surprise when a big red thing ran under the bush by the patio and then jumping around. I was on the phone with a customer and yelled "Oh my god, it's a fox". I grabbed my cell phone and started trying to get a video. You can see the fox behind the tree jumping straight up in the air. Apparently he or she caught a mouse and was flipping it around. He played around a little and then left. I finished up on the phone and went into the kitchen to grab some lunch. 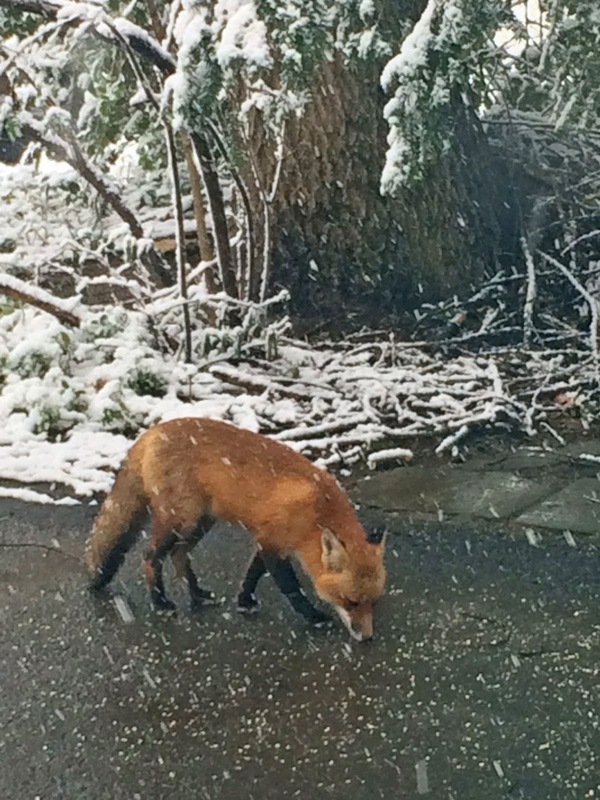 I was pretty shocked to see the fox standing in our driveway. Fox in the hen house? Look how beautiful he/she is. Apparently, he/she wanted dessert after his lunch and ate all of the peanuts and left the sunflower seeds. Really fun stuff. Made the snow seem less cold. Very cool! 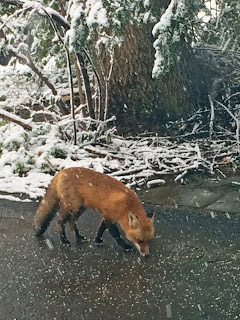 I wish we had a fox in our yard.